Kevin was with us on our Durham Returneeship course, he offered to write about his time with us; this is what he wrote. Kevin moved location to Durham to improve his chances of getting work but instead found himself out of work for two years. Originally from Newcastle, Kevin had mainly worked in the hospitality industry in a mixture of kitchen, bar and front of house work. This included working at Khans, an Indian restaurant in Middlesbrough for three years. It was after this came to an end and with limited work opportunities in Middlesbrough, that he decided that a move to Durham would boost his prospects but instead found himself unable to get a lucky break. It was his work coach at the Durham City job centre that recommended the Returneeship course and Kevin thought he would give it a chance. He had no preconceived ideas about what he exactly wanted out of the course but he liked the idea of the practical element of the first two days that was hinted at and the ability to gain qualifications during the classroom part. Kevin was nervous as he arrived on the first day when he saw all of the equipment and he wondered what he was getting involved in. However, he knew that over the previous two years he had gradually ended up in a bubble of isolation and that this needed to change. As the morning progressed, with the encouragement from a Release Potential member of staff whose advice was to ‘push yourself out of your comfort zone early on and see what you can achieve’, Kevin volunteered to be a main presenter for the show. He also worked with writing the script which he practised repeatedly. Kevin really enjoyed the whole experience and particularly loved presenting. After the first two days’ project, the learners moved into the classroom. Kevin found that the tutors were very supportive and were always there for any advice and tips. 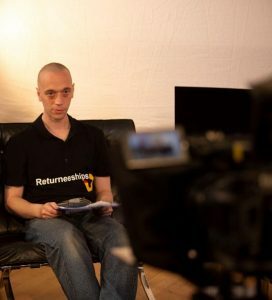 As part of the qualifications, Kevin was able to learn interview techniques and practise these through mock interviews. In the evenings after the course, Kevin was self-motivated to search for jobs and apply. One of these applications turned into a job interview. After applying the advice he gained from the feedback from the mock interviews, Kevin was delighted to be offered the role of kitchen porter at the Garden House Inn in Durham. Kevin’s goals for the future are to stay with the company, progress to front of house work and take any opportunity for promotion. Another positive outcome, in addition to gaining employment, is that he has made friends and is still in touch with people from the course, so he no longer feels trapped in a bubble.